Olympic Theatre: it is design, planning, harmony, proportions, acoustics, sensitivity, search for beauty, wonder, expert processing of materials, emotions. One of the greatest works of the Master and chief architect Andrea Palladio created before his death as a perennial gift to Vicenza, enriching it further with another precious gem and a universal example of beauty and ingenuity. True and exemplary values that all can enjoy and make their own thanks to their glorious and radiant presence. And Sonus faber created in this beautiful and fortunate land could not but make this teaching and principles its own since its very beginning, inextricably linking them to their own history and then applying them in its Musical instruments which proudly resonate with the harmony of the city and the art that inspired them. In acknowledgement of the unique legacy of Andrea Palladio, Sonus faber has decided to create Sonus faber Olympica, a sincere homage to the Olympic Theatre, temple of geometric pleasure in the voice of Music, the container in which sound seamlessly expands and an accurate reference model of acoustic enhancement. 150 mm Woofer with a cone made up of a sandwich of cellulose pulp membranes and rigid syntactic foam. Kabinett: Enhanced “Lyre” shape design, progressive thickness triple curvature cabinet walls damped spread resonance spectrum system. Solid walnut vertical clamps. Delningsfilter: Non-resonant “progressive slope” design, optimized amplitude/phase response for optimal space/time performance. “Paracross topology” on both tweeter hi-pass and midrange band pass, cross-over points 250 Hz - 2.500 Hz. Highest quality components are used including Mundorf Evo Oil capacitors and Jantzen inductors. Basar: 150mm (6\") Sonus faber W15XTR. A totally Sonus faber designed 150 mm ultra dynamic linearity woofer. CCAW wire is used on a composite former “eddy current free” voice coil. The dynamically linear magnetic field motor incorporates triple Kellog/Goeller rings. A special custom diaphragm is made with a real time air dried non pressed blend of traditional cellulose pulp, kapok, kenaf and other natural fibers, developed according to the most natural sound. To further inhibit any residual cone coloration we are using a transparent viscous surface damping coating. 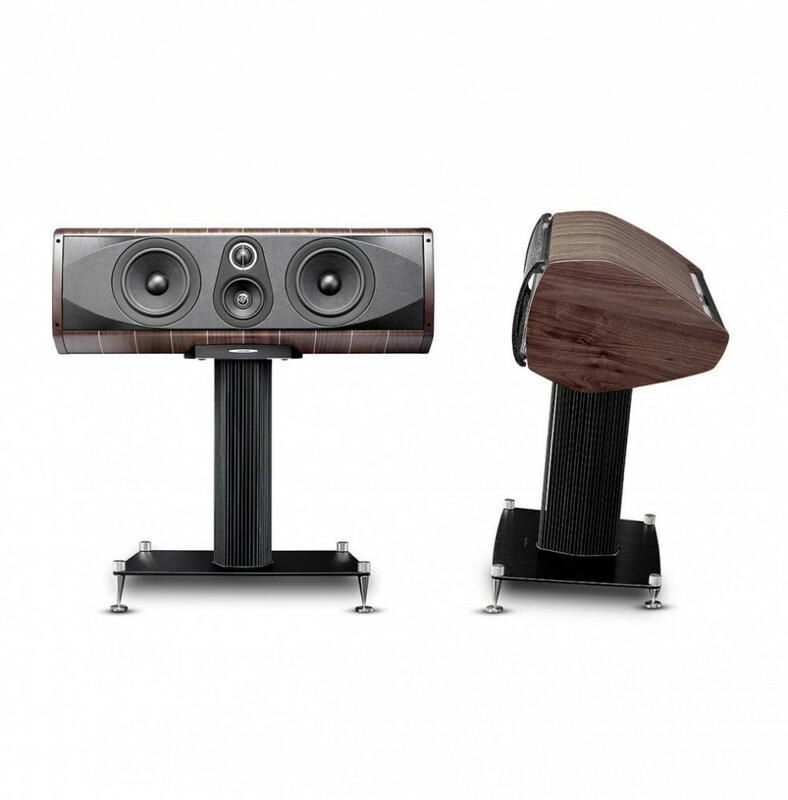 Mellanregister: 80mm (3.2”), Sonus faber M8XTR. 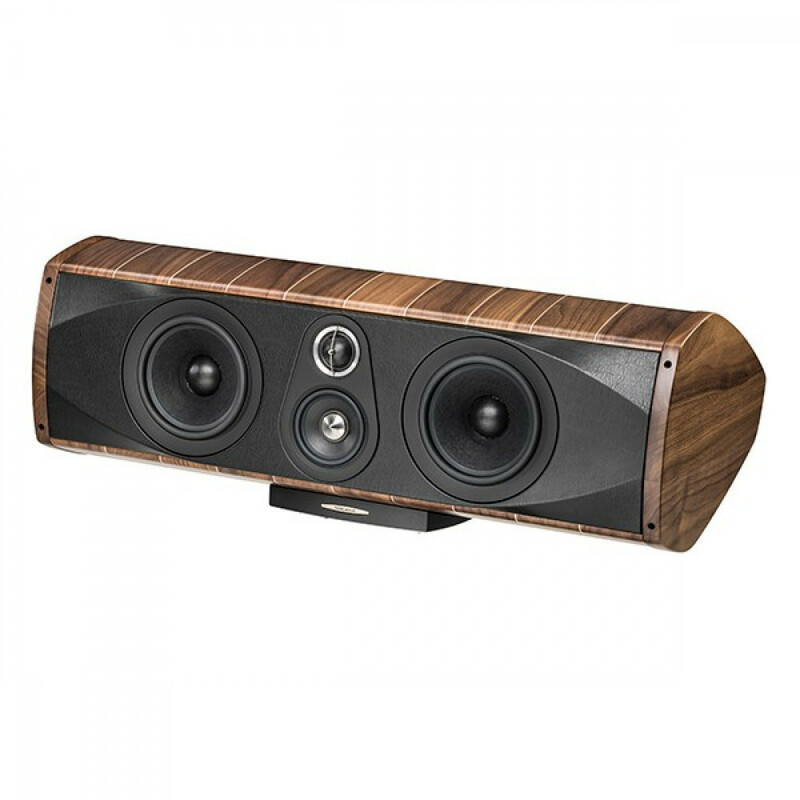 A Sonus faber designed 80 mm ultra dynamic linearity midwoofer. CCAW wire is used on a controlled “eddy current free” voice coil. The dynamically linear magnetic field motor has a focused field geometry. A special custom diaphragm is made with a blend of traditional cellulose pulp, kapok, kenaf and other natural fibers, developed according to the most natural sound. To further inhibit any residual cone coloration we are using a transparent viscous surface damping coating. A special coaxial anti-compressor is used, designed to remove cavity resonance and distortions. Diskant: 29mm (1.1\"), Sonus faber “Arrow Point” DAD (Damped Apex Dome, synthesis of the classic dome and ring transducer) 29XTR2. A Sonus faber designed 29 mm moving coil driver. The ultra dynamic linearity is given by the new Neodymium motor system.